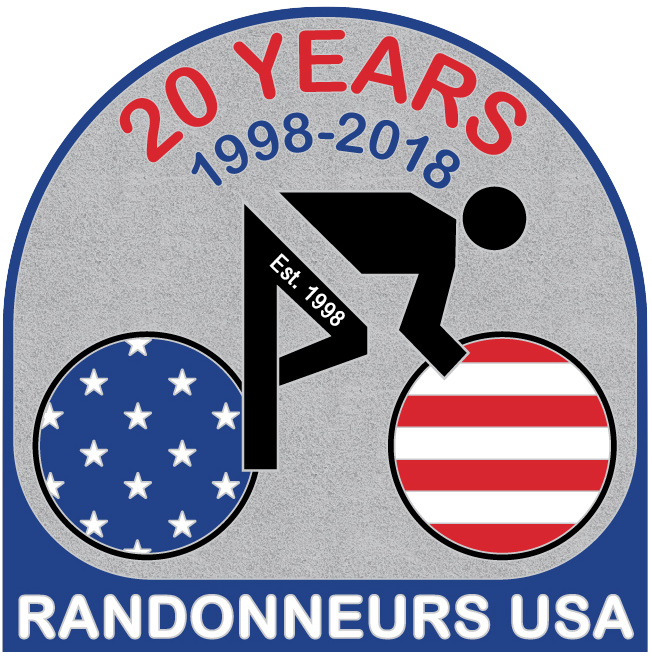 This populaire celebrates Randonneurs USA’s 20th anniversary. All finishers will receive a commemorative medal. We met at the 65th Street Portage Bay Cafe. It’s a good place to fuel up for the ride and is very near to the park-and-ride start. If you would like to do the same, make a reservation because they are busy. Bus Stop Espresso, Broadcast Coffee, Whole Foods, and Wayward Vegan Cafe are also in the vicinity. The later than normal 11:00 a.m. start allows plenty of time for pre-ride eating and pushes the post-ride party into the evening hours. Leaving the start, riders will make their way along Ravenna Blvd to the Burke Gilman Trail. There is a bit of navigating to get over the Montlake Bridge to the 520 trail. 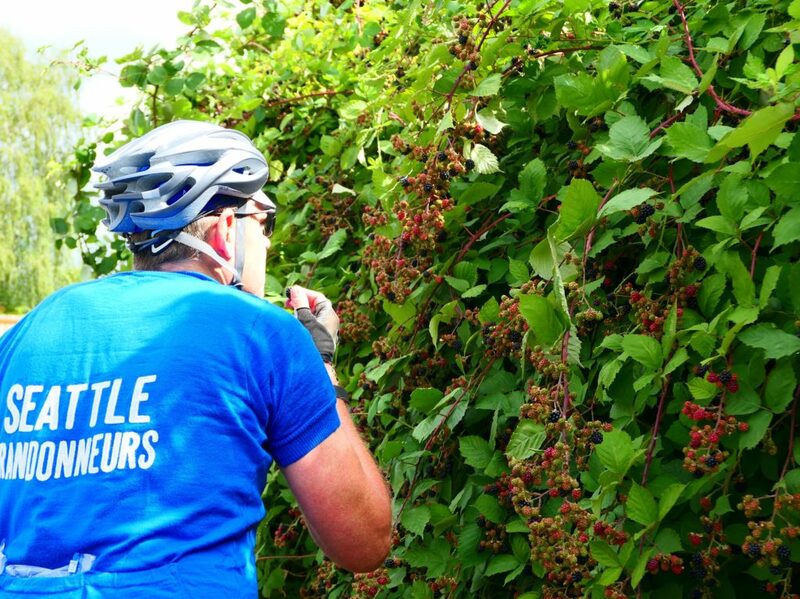 Make friends with any out-of-town riders to help them through this part. Once on the 520, we didn’t see Mt. Rainier views due to the first cloudy day in months, but the event riders can hope for some nice views. After the bridge we headed south through Medina near the homes of Bill Gates and other elites. Nearing downtown Bellevue we passed through a waterfront neighborhood with some nice mid-century houses. After downtown we grunted up the first serious climb of the ride, followed by some other older Bellevue neighborhoods on the way to the I-90 trail. We mixed it up with some of the riders on the Obliteride charity ride and get some cheers from their supporters. U-turn on the I-90 trail. 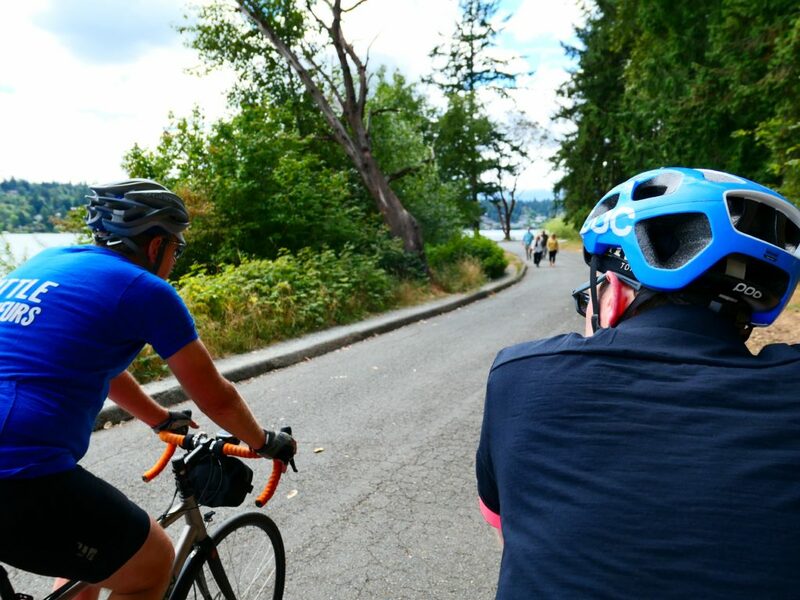 The loop around Mercer Island is always pleasant and we enjoyed the winding roads under the cool shade of the trees. The less pleasant I-90 bridge trail was a good opportunity to push the tandem across in minimum time. We leave the trail before the tunnel to make the fun descent to Lake Washington Blvd. and enjoy the views on the way to the Seward Park. The park restrooms are convenient if you need to stop and there is water available at the fountain across the street. We circle Seward Park and catch another info control. Shortly after leaving the park is another steep climb up Orcas St. that was new to me. 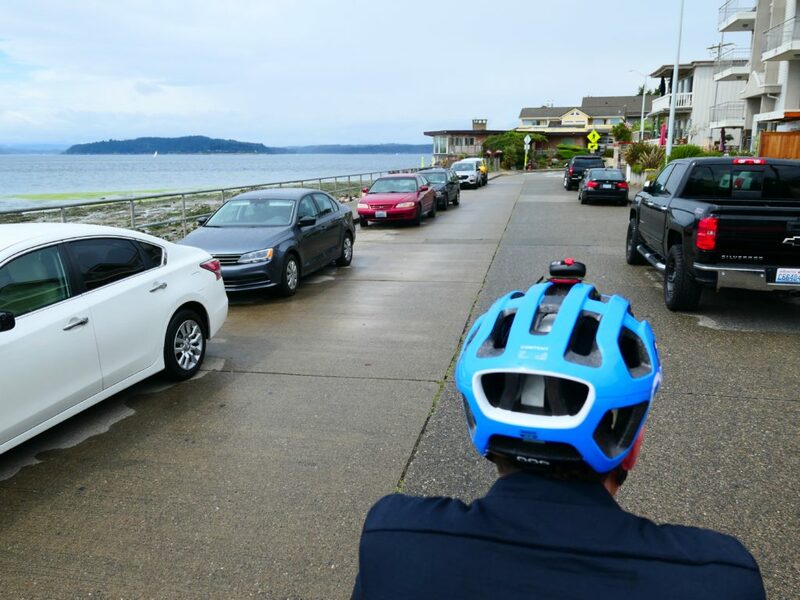 We then have to connect the beautiful parts of the ride with a trip through the working industrial zone between Beacon Hill and West Seattle. Watch for the Chili Dog stand to find the best route to the 1st Ave. Bridge bike path. Editor’s note: this is not a chili dog. West Seattle is reached by climbing Highland Park Way which is not the most bike friendly route but there aren’t really any nice ways to the top of the hill. Fortunately weekend traffic isn’t that heavy. Getting across West Seattle to the shoreline involves several more ups and downs where Dave starts questioning my route creation abilities. 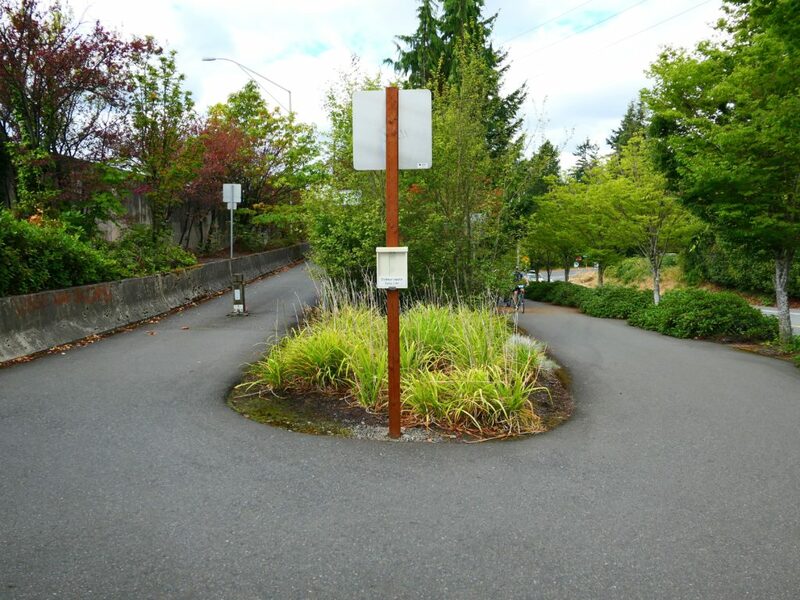 Finally we drop down to Fauntleroy via a fun series of switchbacks. It will be even more fun for those of you who don’t have a nervous stoker on the back of a tandem. A traditional gas station control is a good place to grab a cold coke or maybe a $1.50 taco from the truck that is permanently stationed there. Most of the climbing is done at this point so if you are close to the time limit you shouldn’t have a problem finishing. 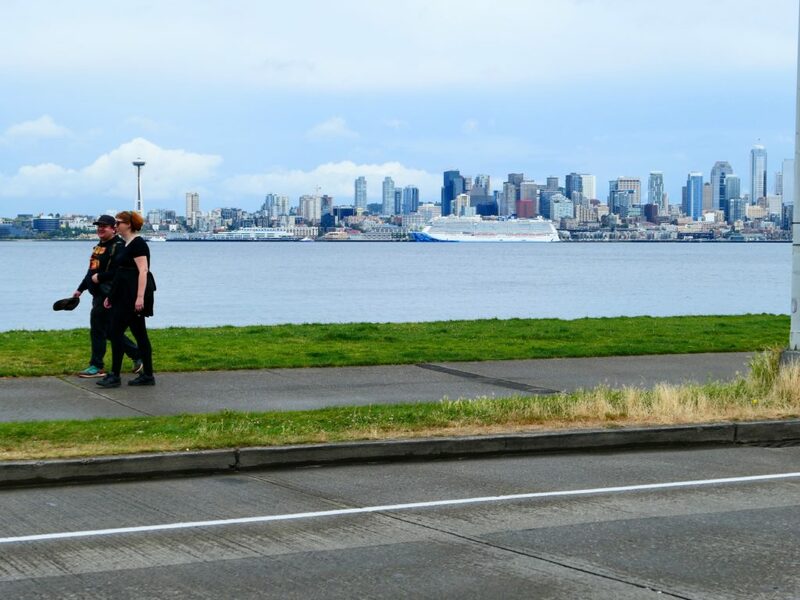 The iconic Seattle views continue around Alki point with a control stop at the lighthouse. On the day of the pre-ride, the road is closed for a Sub Pop event which will culminate with a Pearl Jam appearance later on. We walk and shuffle through the crowds and then jump on the trail to reach the West Seattle Bridge. Cruise ship passengers and ferry arrivals keep us on our toes through the waterfront. The route goes through Myrtle Edwards Park, but Dave points out that next weekend during the ride, Hemp Fest will be taking place. It may be possible to walk your bike through the crowds of potheads and pick up some supplies if that’s your thing… We scoped out a less scenic detour on Elliott Ave. until we can rejoin the trail at the Galer St. flyover. 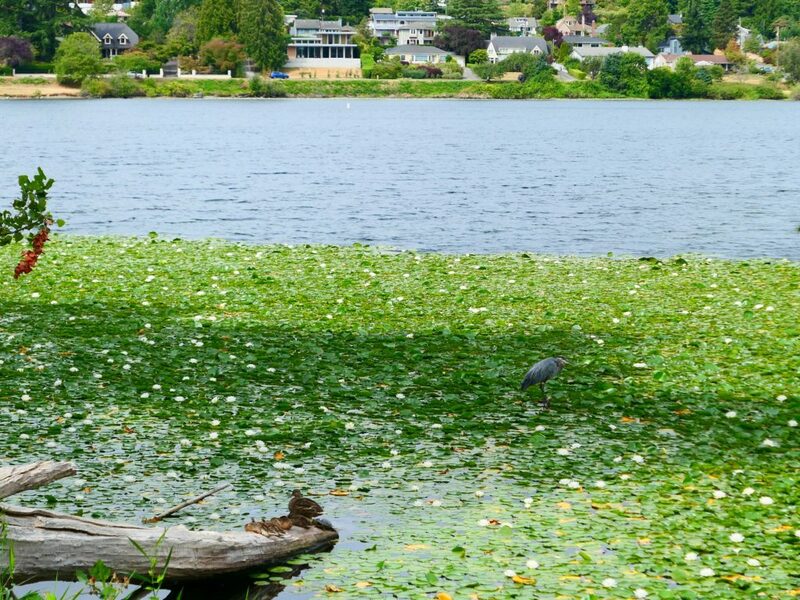 We enjoy the quiet trails and ship canal views before crossing the bridge into Fremont, the Center of the Universe. A gentle climb up Stone Way brings us to Green Lake and the final two uphill blocks to the finish. There was no welcoming party for us, but the Populaire riders will find a party underway. Please preregister for the ride so we can be sure to have enough food and drink for everyone! Check out the route on Ride with GPS. Rode up Highland Park to west Seattle a couple weeks ago. there’s two lanes each way, don’t be afraid to ‘take the lane’ because the shoulder is narrow to non-existant. Better to be visible to oncoming traffic (behind you) – they can easily jog over to the other lane.